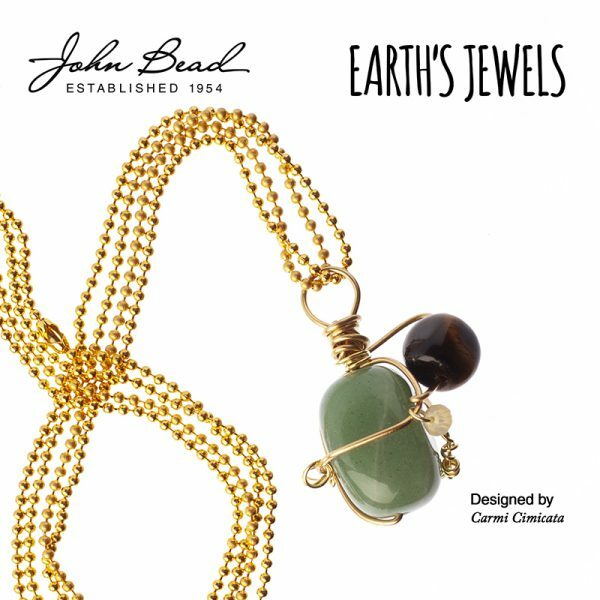 By Carmi Cimicata for John Bead Corp. When you admire a designer that has passed away you can’t help but wonder about their life and art. I would have loved and been honoured to meet Kazuko Oshima. Would she have taught classes? Would she still work at Barney’s? Would she have embraced Instagram? Did she have plans to write a book? These are questions I will never get answered because she died in 2007, before the social media boom, which would have probably given us all access to her creativity and life. So, in my own small way I am attempting to put a spotlight on her work, her style and her memory. 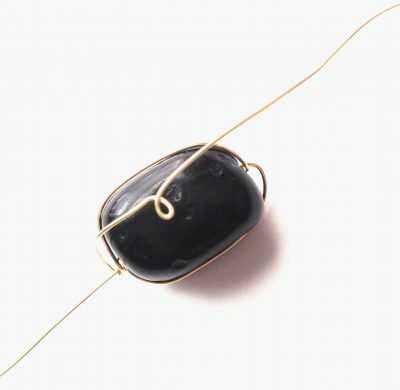 Beloved designer Kazuko Oshima was not the first person to wrap stones and crystals but she was legendary for the simple style she created. 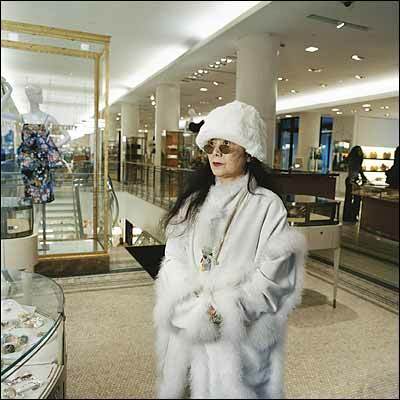 She had a worldwide audience at Barney’s New York where she could be found designing pieces on the spot calibrated to the needs of the client. Owning a piece of her hand-wrapped jewelry was special because she was exclusive to one store and did not have her designs manufactured. I was very lucky to receive a piece of her jewelry and it is a prized possession. From the moment I received it, I was mesmerized. Afraid to lose it, I open and close the box it came in often, making sure it is still safe. 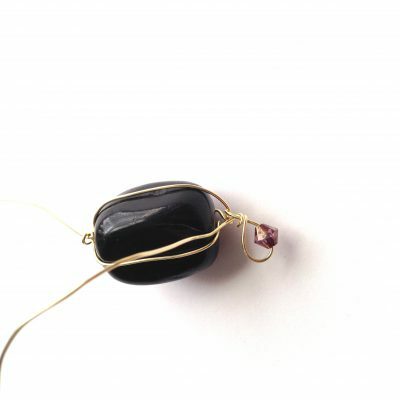 Kazuko enclosed a handwritten description of the stones she used to make my pendant. Even that tiny card feels magical. 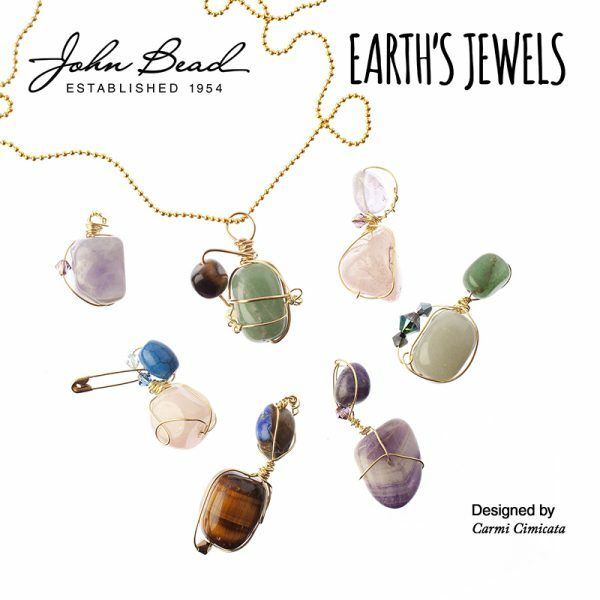 Working at John Bead Corp has given me the opportunity to explore the attributes of many gemstones and incorporating them into jewelry is a joy. It felt like the right time to put a spotlight on a designer who inspired me. I also wanted to credit her for the this style of wrapping. It makes her jewelry stand out for its simplicity. 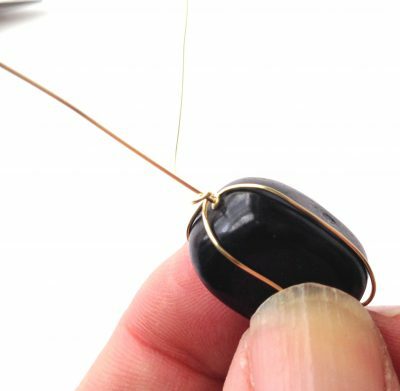 I have written a step-by-step so you can create a simple wire-wrapped pendant. 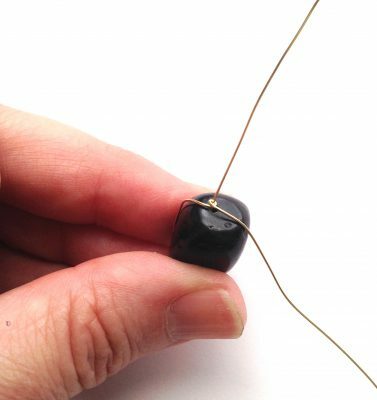 I have also demonstrated this technique dozens of times in the last two months and have learned that this simple and effective wire wrap makes people happy. 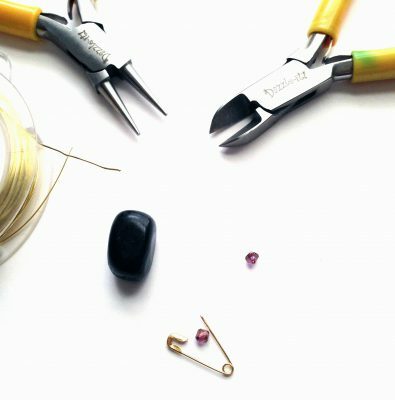 Just wire, gemstones and good intention. This is the beautiful Kazuko. If you create anything with this step-by-step, please remember to call your projects “Kazuko Inspired” so you can help me to honour her memory. 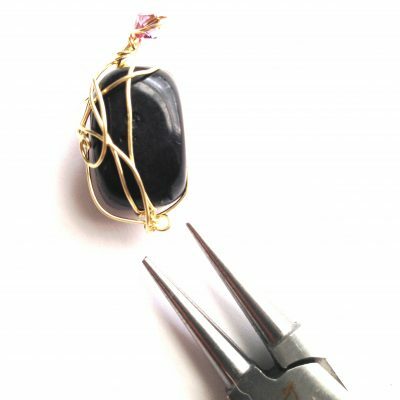 Cut about 12 -14 inches of wire and add your stone leaving about three inches of a tail. 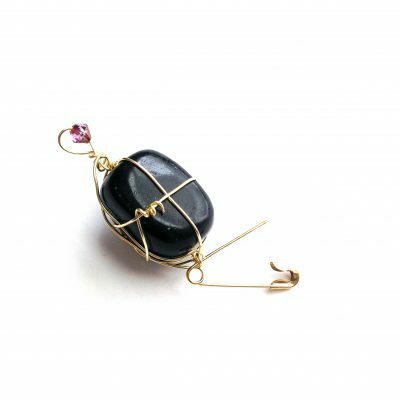 Wrap the longer wire around the stone and back towards the tail. Wrap the long wire once or twice around the tail wire. Position the long wire up the opposite side of the first wire and tuck the longer wire under the first like the picture shows. 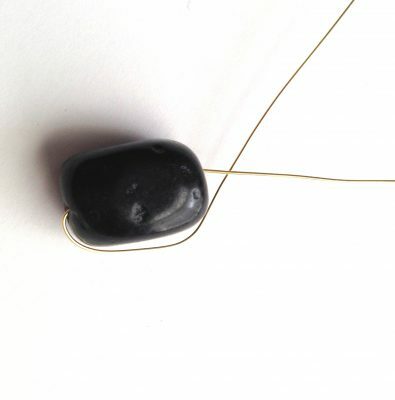 Then run some wire up another side of the stone and create a loop at the top of the bead around the tail. Run wire again down the side of the pendant. You can also make loops in the wire as you go. You can create loops and add a crystal at the bottom of the wrapped stone at this point. 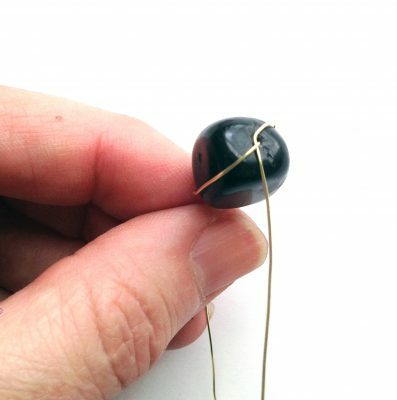 Then, you will need to get the longer wire back to the top of the bead. Wrap the wire around the top tail again. 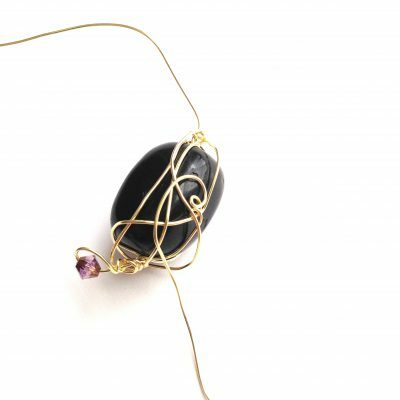 At this point you can stop wiring the pendant or add more wire along the sides. Cut the wire and with round nose pliers create loops to hide the wire ends. 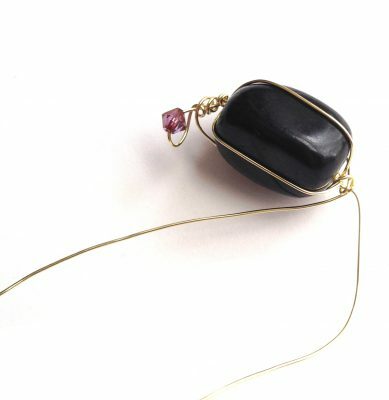 The “Kazuko style” includes adding a pin to create a bail or clasp feature. 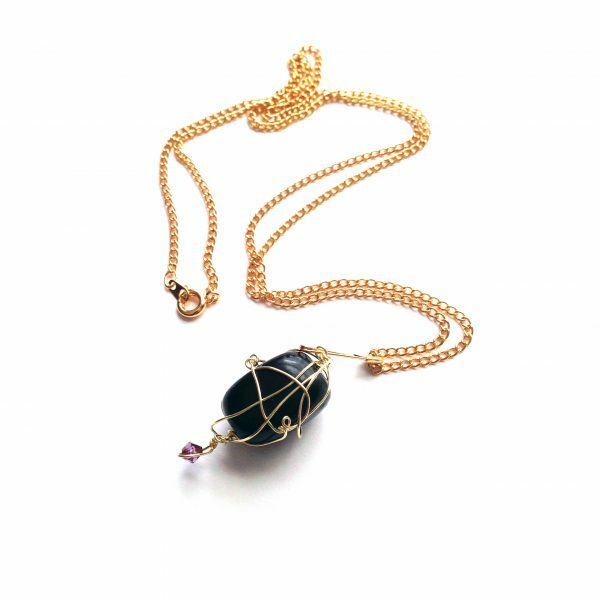 Add a chain and write a short note explaining why you selected this particular stone and you have a wonderful and meaningful gift!